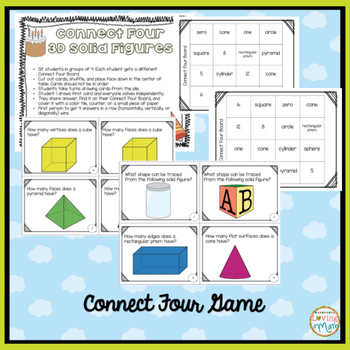 Practice 3D shapes with your students with this fun and engaging connect four game. 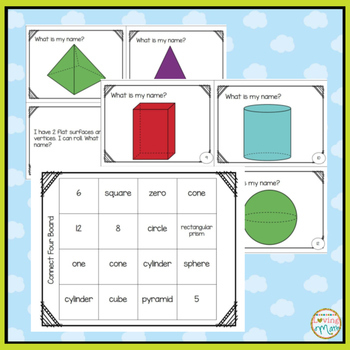 -Students take turns drawing cards from the pile. 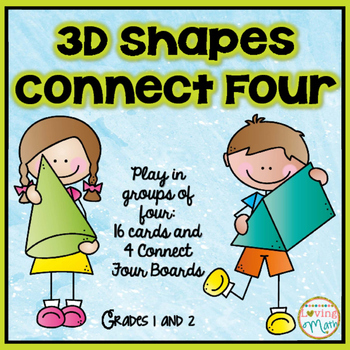 -Student 1 draws first card and everyone solves independently. -First person to get 4 answers in a row (horizontally, vertically, or diagonally) wins. Hope you and your students enjoy. 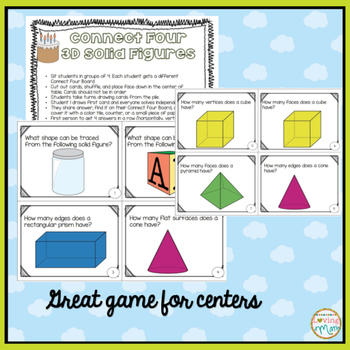 Please visit my store for a variety of math games and centers. Become a follower to receive notifications of new products or promotions.